Roasted rainbow carrots with coconut oil, the best vegan snack ever! I love how the coconut oil brings out the natural sweetness of the rainbow carrots. Add a dash of sea salt and cracked pepper across the pan and these little suckers taste even better than kettle corn. I recommend doubling the recipe cause they will go quick! 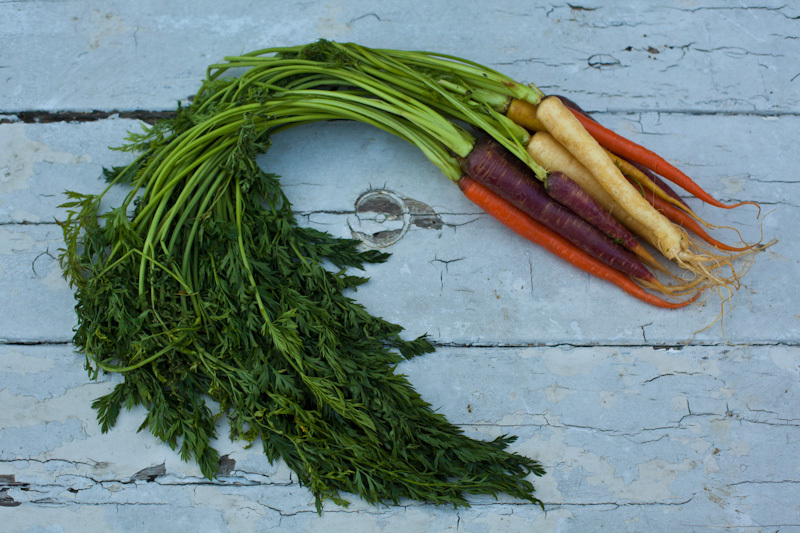 Sweet, salty, and savory- these carrots are the ultimate healthy, vegan snack. I keep meaning to make these as a side dish, but I end up eating the entire pan before dinner is even ready. Luckily, the recipe is easy to make multiple times per week. Preheat the oven to 350 degrees. Trim and peel the carrots, then slice them into thin diagonal wedges. Spread the carrots into a single layer on a pan and coat them in the coconut oil. It works best to use your hands to rub the oil evenly onto the carrots, especially if the oil isn’t melted. Sprinkle a dash of sea salt and cracked pepper on them and bake for 45 minutes.